James was in a band called Juno, who, being a great new band once, were featured on ANBAD. 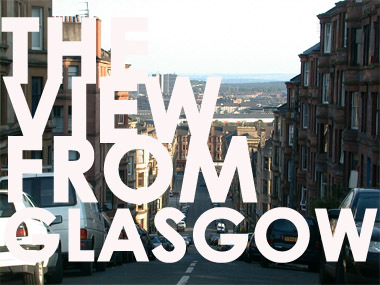 Glasgow as a city speaks pretty loudly for Scotland, and it seems that a few bands seem to speak for the city but with an accent heavily on the morose. However you don’t have to look very far to see that there are as many bands that add colour and vibrancy to the city as there are new venues opening to accommodate them. In the past year Glasgow has also seen two new festivals in Hinterland and the Stag and Dagger taking over venues such as The Arches, Admiral bar, Classic Grand, and the newly refurbished Captains Rest. Crowds in Glasgow tend to differ a little depending on the venue, Mono and Stereo very much cater for the cool Indie types and often have classic performers from all over the world who its hip to like that may not be so well known in less well informed venues. 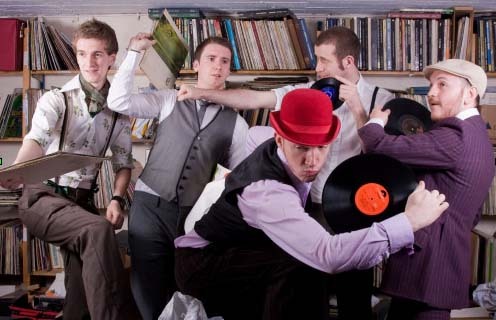 The Captains Rest and Admiral are both relatively new as venues (in their current guises) but are both positioning themselves as serious stop offs for touring Indie bands. Recent years have seen the Cribs and Crystal Castles playing there before they went overground. Pin Ups night at the Flying Duck club is a very interesting club because it is a mixture of local Indie bands and celebrity Dj’s. Aside from the promoters being very friendly the range of DJ’s has been remarkable including hosting NME aftershows and luminaries such as Alex James, Brett Anderson, Friendly Fires in the past couple of years. The nights tend to be great fun and often themed with a fancy dress angle. With virtually every reviewer who sees this band falling over themself to find new ways of describing just how shiny, fizzy and exciting their brand of synthpop is it is difficult to add much that hasn’t already been said. 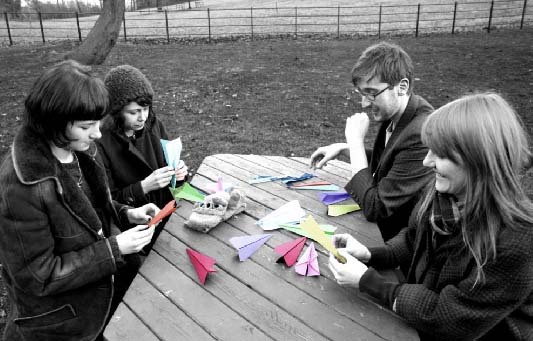 Formed as an art school project to soundtrack a film this band has already supported Kate Nash, Ladyhawke and Glasvegas. March saw the release of their vinyl-esque ep and there are rumours of collaboration with a well-known Glasgow pop legend in the summer. If you ever find yourself in Glasgow make this band one to catch, I guarantee you will come out smiling. Sonny Marvello first made a name for themselves by putting on secret shows where audiences were blindfolded and taken to mystery venues for nights of debauchery and musical performances. The band went on to win best international band at the renowned New York City Meany Festival and haven’t looked back since. With an accent heavily on the theatrical they know how to work a crowd nearly as well as they know how to write a catchy pop song. Leaning on the jaunty side of The Kinks they are purveyors of witty and infectious hooks and not afraid to dress up if the occasion warrants! Now this band possibly doesn’t fit the bill for appearing in my catalogue of cheer, as they are entirely instrumental. However their energetic and intense live performances have to be seen to be believed. Combining multiple effects pedals, violin bows and cheeky guitar riffs against an atmospheric backdrop they somehow make their guitars sound like they are speaking to you. I have absolutely no idea how they manage this, some folk just have all the talent! Posted on July 31, 2010 by Joe Sparrow. This entry was posted in Featured, Headline, The View From.... Bookmark the permalink.